Yejian Chen; “Achieve High Spectral Efficiency for 5G: Multi-User MIMO versus NOMA,” accepted by 2019 IEEE 89th Veh. Technol. Conf. (VTC’19 Spring), Kuala Lumpur, Malaysia, Apr. 2019. Yejian Chen; Thorsten Wild; “Exploring Performance and Complexity of Selected NOMA Candidates in 5G New Radio,” in Proc. 2018 IEEE Global Telecommun. Conf. (Globecom’18) Workshop: Non-Orthogonal Multiple Access Techniques for 5G Workshop (NOMA5G), Abu Dhabi, UAE, Dec. 2018. Yejian Chen; “Exploiting Gaussian Approximation for Non-Orthogonal Coded Access,” in Proc. 2018 IEEE 87th Veh. Technol. Conf. (VTC’18 Spring), Porto, Portugal, June 2018. Yejian Chen; “Indoor Localization By Detecting 80 Key Bits With Downlink Interleave Division Multiple Access,” in Proc. 2018 IEEE Wireless Commun. Networking Conf. (WCNC’18), Barcelona, Spain, April 2018. Mohammadhossein Attar; Yejian Chen; Sher Ali Cheema; Thorsten Wild; Martin Haardt; “NOCA versus IDMA using UFMC for 5G Multiple Access,” in Proc. 22nd Int. ITG Workshop on Smart Antennas (WSA’18), Bochum, Germany, March 2018. Yejian Chen; “Low-Cost Superimposed Pilots Based Receiver for Massive MIMO in Multicarrier System,” in Proc. 2017 IEEE 85th Veh. Technol. Conf. (VTC’17 Spring), Sydney, Australia, June 2017. Yejian Chen; “Two-Dimensional Pilot Design for Non-Orthogonal Multiple Access in Multicarrier System,” in Proc. 2016 IEEE Global Telecommun. Conf. (Globecom’16), 2nd Int. Workshop 5G RAN Design, Washington, USA, December 2016. Yejian Chen; Mark Doll; “Enhanced Control Signal and Data Detection for 5G Multicarrier Low-Power Communications,” in Proc. 2016 IEEE 84th Veh. Technol. Conf. (VTC’16 Fall), Montreal, Canada, September 2016. Yejian Chen; “An Efficient Data Exchange and Detection Scheme for Two-Way Relay Based D2D Communications,” in Proc. 2016 IEEE 83rd Veh. Technol. Conf. (VTC’16 Spring), Fantastic-5G Int. Workshop on 5G New Air Interface, Nanjing, China, May 2016. Yejian Chen; Joerg Schaepperle; Thorsten Wild; “Comparing IDMA and NOMA with Superimposed Pilots Based Channel Estimation in Uplink,” in Proc. 26th Annu. IEEE Int. Symp. on Personal, Indoor and Mobile Radio Commun. (PIMRC’15), Hong Kong, China, September 2015. Yejian Chen; Thorsten Wild; Frank Schaich; “Realizing Asynchronous Massive MIMO with Trellis-Based Channel Estimation and Superimposed Pilots,” in Proc. 2015 IEEE Int. Conf. Commun. (ICC’15), London, UK, June 2015. Yejian Chen; “Superimposed Pilots Based Secure Communications For A System With Multiple Antenna Arrays,” in Proc. 2015 IEEE 81st Veh. Technol. Conf. (VTC’15 Spring), Glasgow, UK, May 2015. Gerhard Wunder; Martin Kasparick; Thorsten Wild; Frank Schaich; Yejian Chen; Marcin Dryjanski; Mateusz Buczkowski; Slawomir Pietrzyk; Nicola Michailow; Maximilian Matthe; Ivan Gaspar; Luciano Leonel Mendes; Andreas Festag; Gerhard Fettweis; Jean-Baptiste Dore; Nicolas Cassiau; Dimitri Ktenas; Vincent Berg; Bertalan Eged; Peter Vago; “5GNOW: Intermediate frame structure and transceiver concepts,” 2014 IEEE Global Telecommun. Conf. (Globecom’16) Workshop: Telecommun. Standards – From Research to Standards (TCS), Austin, USA, December 2014. Yejian Chen; Thorsten Wild; Frank Schaich; “Trellis-Based Channel Estimation For Asynchronous IDMA With Superimposed Pilots,” in Proc. 2014 IEEE/CIC Int. Conf. Commun. in China (ICCC’14), Shanghai, China, October 2014. Thorsten Wild; Frank Schaich; Yejian Chen; “5G Air Interface Design based on Universal Filtered (UF-)OFDM,” in Proc. 2014 19th Int. Conf. Digital Signal Process. (DSP’14), Hong Kong, China, August 2014. Thorsten Wild; Gerhard Wunder; Frank Schaich; Yejian Chen; Martin Kasparick; Marcin Dryjanski; Slawomir Pietrzyk; Nicola Michailow; Maximilian Matthé; Ivan Gaspar; Ainoa Navarro; Luciano Mendes; Andreas Festag; Gerhard Fettweis; Jean-Baptiste Doré; Nicolas Cassiau; Dimitri Kténas; Vincent Berg; Bertalan Eged; Peter Vago; “5GNOW: Intermediate Transceiver and Frame Structure Concepts and Results,” in Proc. of European Conference on Networks and Communications (EUCNC’14), Bologna, Italy, 23-26 June 2014. Yejian Chen; Frank Schaich; Thorsten Wild; “Multiple Access and Waveforms for 5G: IDMA and Universal Filtered Multi-Carrier,” in Proc. 2014 IEEE 79th Veh. Technol. Conf. (VTC’14 Spring), Seoul, Korea, May 2014. Frank Schaich; Thorsten Wild; Yejian Chen; “Waveform Contenders for 5G - Suitability for Short Packet and Low Latency Transmissions,” in Proc. 2014 IEEE 79th Veh. Technol. Conf. (VTC’14 Spring), Seoul, Korea, May 2014. G. Wunder, P. Jung, M. Kasparick, T. Wild, F. Schaich, Y. Chen, S. ten Brink, I. Gaspar, N. Michailow, A. Festag, L. Mendes, N. Cassiau, D. Ktenas, M. Dryjanski, S. Peitrzyk, B. Eged, P. Vago and F. Wiedmann, “5GNOW: Non-orthogonal, Asynchronous Waveforms for Future Mobile Applications,” IEEE Commun. Mag., Vol. 52, No. 2, pp. 97–105, February 2014. Yejian Chen; Stephan ten Brink; “Pilot Strategies for Trellis-Based MIMO Channel Tracking and Data Detection,” in Proc. 2013 IEEE Global Telecommun. Conf. (Globecom’13), pp. 4313–4318, Atlanta, USA, December 2013. Yejian Chen; “Evolved Joint Transmission and Interference Cancellation with Dedicated Frequency Planning,” in Proc. 2013 Int. Conf. Connected Veh. Expo (ICCVE’13), Las Vegas, USA, December 2013. G. Wunder; M. Kasparick; S. ten Brink; F. Schaich; T. Wild; Y. Chen; I. Gaspar; N. Michailow; G. Fettweis; D. Ktenas; N. Cassiau; M. Dryjanski; K. Sorokosz; S. Pietrzyk; B. Eged; “System-Level Interfaces and Performance Evaluation Methodology for 5G Physical Layer Based on Non-orthogonal Waveforms,” in Proc. of 47th Asilomar Conf. Signals, Syst. and Comput. (ACSSC’13), pp. 1659–1663, Pacific Grove, USA, November 2013. Yejian Chen; Xin Yu; “MIMO Joint Detection with Enhanced Physical Layer Security,” in Proc. 2013 IEEE 78th Veh. Technol. Conf. (VTC’13 Fall), Las Vegas, USA, September 2013. Yejian Chen; Stephan ten Brink; “Improved Turbo Fixed-Complexity Sphere Detection for MIMO Communications,” in Proc. 2013 IEEE Int. Symp. Wireless Commun. Systems (ISWCS’13), Ilmenau, Germany, August 2013. G. Wunder, M. Kasparick, T. Wild, F. Schaich, Y. Chen, S. ten Brink, I. Gaspar, N. Michailow, A. Navarro, G. Fettweis, N. Cassiau, D. Ktenas, M. Dryjanski, S. Peitrzyk and B. Eged, “5GNOW: Application Challenges and Initial Waveform Results,” in Proc. Future Network & Mobile Summit 2013 (FuNeMS'13), Lisbon, Portugal, July 2013. Yejian Chen; Stephan ten Brink; “Joint Channel and Data Estimation for MIMO Communications using Sparse Pilots,” in Proc. 46th Asilomar Conf. Signals, Syst. and Comput. (ACSSC’12), pp. 1152–1156, Pacific Grove, USA, November 2012. Yejian Chen; Stephan ten Brink; “Enhanced MIMO Subspace Detection with Interference Cancellation,” in Proc. 2012 IEEE Wireless Commun. Networking Conf. (WCNC’12), pp. 267–271, Paris, France, April 2012. Yejian Chen; Laurent Schamlen; Henning Bülow; Andreas Leven; Stephan ten Brink; “Space-Time Coding Schemes for Optical MIMO,” in Proc. 2011 37th European Conf. Exhibit. Optic. Commun. (ECOC’11), Geneva, Switzerland, September 2011. Yejian Chen; Stephan ten Brink; “Near-Capacity MIMO Subspace Detection,” in Proc. 22nd Annu. IEEE Int. Symp. on Personal, Indoor and Mobile Radio Commun. (PIMRC’11), Toronto, Canada, September 2011. Yejian Chen; “Novel Frequency Planning Scheme Enabling Joint Transmission and Interference Cancellation,” in Proc. 2011 IEEE 74th Veh. Technol. Conf. (VTC’11 Fall), San Francisco, September 2011. Yejian Chen; “Investigation on Dynamic Spectrum Allocation with Virtual Antenna Array Deployment in Decentralized Cognitive Radio System,” in Proc. 2011 IEEE 73rd Veh. Technol. Conf. (VTC’11 Spring), Budapest, Hungary, May 2011. Yejian Chen; Hardy Halbauer; Michael Jeschke; Robert Richter; “An Efficient Cholesky Decomposition based Multiuser MIMO Detection Algorithm,” in Proc. 21st Annu. IEEE Int. Symp. on Personal, Indoor and Mobile Radio Commun. (PIMRC’10), Istanbul, Turkey September 2010. Yejian Chen; “An Adaptive Multiuser MIMO Receive Algorithm with Radial Space-Division Multiple Access in OFDM System,” in Proc.2010 IEEE 71st Veh. Technol. Conf. (VTC’10 Spring), Taipei, May 2010. Yejian Chen; Hardy Halbauer; “On Switching Mechanisms for Beamforming and Multiuser MIMO for a WiMAX TDD System in Reverse Link,” in Proc.2009 IEEE 69th Veh. Technol. Conf. (VTC’09 Spring), Barcelona, Spain, April 2009. Yejian Chen; Joachim Speidel; Cornelis Hoek; Stefan Russ; “Investigation of Diversity and Beamforming Techniques for UMTS High Speed Downlink Packet Access,” in Proc. 16th Annu. IEEE Int. Symp. on Personal, Indoor and Mobile Radio Commun. (PIMRC’05), Berlin, Germany, September 2005. “Towards 5G: Applications, Requirements and Candidate Technologies, Chapter 14: New Physical-Layer Waveforms for 5G,” edited by Rath Vannithamby, Shilpa Talwar, ISBN: 978-1-118-97983-9, Wiley, January 2017. Yejian Chen; “Coding and Encryption for Wavelength Division Multiplexing Visible Light Communications,” EP3076567, GB/FR/DE, issue date: 12-Dec-2018. Thorsten Wild; Frank Schaich; Yejian Chen; Stephan ten Brink; “Transmitter Apparatus For Conditioning A Multicarrier Signal Network Node, Method For Conditioning A Multicarrier Signal, And Computer Program Thereof,” KR101833837, issue date: 23-Feb-2018, expiry date: 17-July-2034. Thorsten Wild; Frank Schaich; Yejian Chen; Stephan ten Brink; “Transmitter Apparatus For Conditioning A Multicarrier Signal Network Node, Method For Conditioning A Multicarrier Signal, And Computer Program Thereof,” JP6294481, issue date: 23-Feb-2018, expiry date: 17-July-2034. Thorsten Wild; Frank Schaich; Yejian Chen; Stephan ten Brink; “Transmitter Apparatus For Conditioning A Multicarrier Signal Network Node, Method For Conditioning A Multicarrier Signal, And Computer Program Thereof,” US9900886, issue date: 20-Feb-2018, expiry date: 28-Aug-2034. Yejian Chen; Thorsten Wild; Frank Schaich; “Multiple Access Scheme,” EP2961083, GB/FR/DE, issue date: 31-May-2017, expiry date: 27-June-2034. 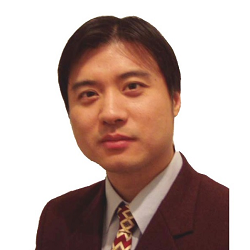 Yejian Chen; Xin Yu; “Apparatuses, Methods And Computer Programs For A MIMO Transmitter and Decoder,” EP2712103, GB/FR/DE, issue date: 13-Jan-2016, expiry date: 21-Sep-2032. Yejian Chen; Stephan ten Brink; “Data Signal Detection In Cooperative Multi-Point Using Channel Submatrix Decomposition,” JP5730417, JP, issue date: 17-Apr-2015, expiry date: 20-Jan-2032. Yejian Chen; Stephan ten Brink; “Data Signal Detection In Cooperative Multi-Point Using Channel Submatrix Decomposition,” TWI455508, TW, issue date: 01-Oct-2014, expiry date: 21-Feb-2032. Yejian Chen; Stephan ten Brink; “Data Signal Detection In Cooperative Multi-Point Using Channel Submatrix Decomposition,” EP2501055, GB/FR/DE, issue date: 25-Sep-2013, expiry date: 17-Mar-2031. Yejian Chen; Hardy Halbauer; Stephan Saur; “Estimating A Location Of A Mobile Device,” EP2544018, GB/FR/DE, issue date: 03-Apr-2013, expiry date: 27-Jun-2031. Yejian Chen; “Receiver And Method Of Operating A Receiver,” EP2398159, GB/FR/DE, issue date: 22-Aug-2012, expiry date: 15-Jun-2030. Mark Doll; Hardy Halbauer; Bozo Cesar; Yejian Chen; Fetscher Robert; Gloss Bernd; Stanze Oliver; “Measurement In Radio Communication Systems,” EP2160056, GB/FR/DE, issue date: 27-Oct-2010.